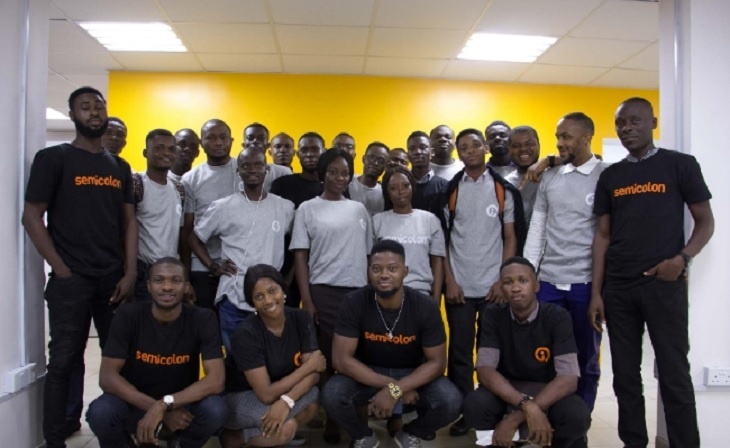 Lagos-based tech training and innovation hub Semicolon has accepted the first cohort of individuals into its intensive one-year programme, which looks to develop software developers and get them building innovative solutions. Semicolon aims to provide Nigerian software engineers with unique learning and hands-on project experience, with its course curriculum focusing on developing skills in entrepreneurship, business management, design thinking, and core software engineering. By undergoing this one-year programme, the hope is for students to improve on their skills and expand their capabilities as technology professionals and entrepreneurs. Semicolon also acts as an incubator for innovative technology, with all students working on technology projects, either based on student ideas or partner company initiatives. Semicolon seeks to identify the most viable solutions and make them a reality by providing early technical support, and connecting entrepreneurs with seed funding and mentorship. “We are on the lookout for passionate Nigerians who are interested in solving problems with technology as leverage and are committed to completing the program. We’re also building a community of innovators in Nigeria. Beyond the program, we want to be able to connect with tech enthusiasts and professionals across the country. And we intend to encourage collaboration through our community events,” said Sam Immanuel, chief executive officer (CEO) of Semicolon. Immanuel said Nigeria needed to focus on developing human capital as a fulcrum for the development of the country. He said talent could be found everywhere, and that the growing youth population could be an asset if empowered with the right skills and opportunities.